$50 gift card to Holistic Spaces. I'm incredibly excited to welcome Katie Hess, a flower alchemist and founder of one of my favorite companies, Lotus Wei, to the podcast this week. Katie is an expert in flower essences and a student of Tibetan Buddhist meditation (like me!) and has agreed to share her flower knowledge with us! What's so great about flowers? Thanks so much to Katie for chatting with us about how healing and life-enhancing flowers can be. 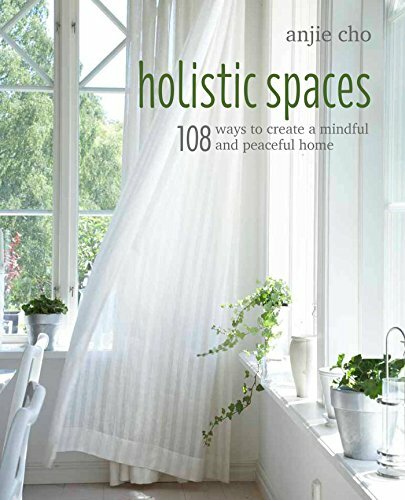 If you're interested, be sure to check out the Lotus Wei Flowerevolution, and don't forget to sign up for the Holistic Spaces newsletter to receive weekly insight on feng shui, green design and holistic living PLUS a 10% off coupon to the Holistic Spaces store. If you have any questions about feng shui, holistic living or green design, please feel free to send them along for answers and a chance to be featured on the Q&A Sunday series! Katie Hess is a flower alchemist and the founder of LOTUSWEI, one of the world’s leading floral apothecaries. After 15 years of independent research of flower and plant-based healing, her flower-powered community is thriving in over 15 countries. Her transformative elixirs having been featured in O, The Oprah Magazine, The New York Times, The LA Times, Sunset, and Organic Spa Magazine. A lifelong spiritual seeker, Katie has studied meditation and mindful-awareness techniques with several Tibetan Buddhist masters, including the Dalai Lama and the Karmapa, Tibet’s next generation leader.